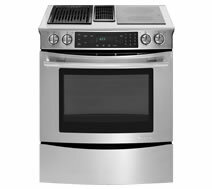 Our professional technicians at Oakville Appliance Repair provide expert Jenn Air oven repair and maintenance services for home and business owners in the Oakville area. We offer 24/7 same-day emergency service, call us to schedule an appointment. 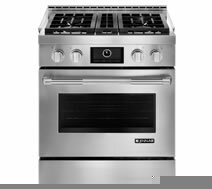 Electric stoves with spiral elements used to be the most common type of electric ranges and are found in a large number of households still. Jenn Air ceramic top ranges are favored for ease of cleaning and heating speed, as a word of caution however: the glass is rather easily broken and is very expensive to fix so consumers should be aware of that. Gas Stoves are preferred by professionals and home owners alike for their speedy heating times and even temperatures. Jenn-Air Gas Ranges were originally designed for commercial kitchens but were adapted for home use and were some of the first to offer professional style cooking outside of a restaurant. 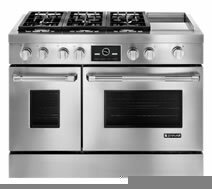 Duel Fuel ranges are those that have a gas cooktop and an electric oven or in some cases two ovens; one gas and one electric. Jenn Air Duel-Fuel stoves are one of the top of the line models and include luxury features such as electronic ignition and automatic reignition, and cast-iron grates. Wall ovens are very convenient appliances that are normally installed at eye or waist level in homes and ensure that you do not need to bend or kneel to place items inside. 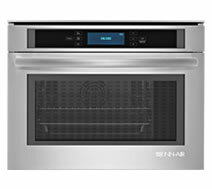 Jenn Air Wall ovens come with single and double oven options and can be placed nearly anywhere within your kitchen granting a large amount of adaptability.